When setting up appointments, many doctors feel that requiring payment information at the time of scheduling is a fair and smart thing to do. By having the information, it allows them to charge patients for missed appointments if they never show up—after all, their time is wasted waiting on a no-show patient. It seems like a sound business decision. However, let’s put the wasted time on the other foot. As a doctor, would you expect not to be paid for services if you were running behind? Why not? You’re wasting your patient’s time. Isn’t it the same thing? What about if you were a patient, and on the day of your appointment your child was in an accident so you couldn’t keep it? Would you think it was fair that your doctor charged you for services he didn’t provide, all because of circumstances that were out of your control? Would you understand that his time was worth more than your child’s? Probably not. In fact, you may even be offended by the assumption and angry with the charge. This being said, do you think putting your prospective patients in these situations is going to get you more business, or less? Trust is a huge part of the patient-doctor relationship. If your patients can’t trust that you care about them, then why would they continue to see you? This is why more and more patients are beginning to research doctors and explore their websites in order to make sure the doctor they choose is dependable, trustworthy, and understanding. Unfortunately, a simple decision to require patients to supply personal financial information—or even turn over a credit card—before they even see you can definitely tip the scales on trust, even if it does cover your bases. Therefore, before making the decision, it’s important to understand the pros and cons. Business Standpoint Pros: You’ll have the necessary information you need to charge a patient for a missed appointment so you don’t lose money. You gain an alternative billing means if insurance claims are denied or unavailable. Knowing there will be a charge for a missed session provides incentive for patients to keep their appointments. Patient Standpoint Pros: Nothing…nada…zilch. Patients gain no benefit from disclosing financial information early. Business Cons: Complaints surge from patients who are unhappy about being charged, who believe they have been erroneously charged, or who fear a loss of privacy. You may lose potential clients who are scared or offended that you would require such information, and also lose current patients (even longstanding ones) as you begin charging for missed appointments. Patient Cons: Many patients will express worry and resentment that they may be charged for a missed appointment. Some will fear that you may charge them other fees. If you require sensitive financial information as part of your online scheduling system, some patients will suspect your office is a scam too. Many patients will be reluctant to trust a doctor who seemingly doesn’t trust them. Business Pros: Collecting insurance and, if necessary, personal billing or credit card information at the office at the time of the first appointment can establish trust and increase new business. You will maintain a healthy relationship with long-term clients, and expand the potential for patients to refer you to friends and family. Business Cons: You will lose uncompensated time waiting for missed appointments. Although preemptively requiring payment information is ultimately a personal business decision, from a conversion standpoint, you're likely to get more leads if you don't ask for it. In today’s society, skill and experience aren’t enough to make your practice thrive if you don’t have the trust of potential patients. Although ultimately it is your decision, giving your patients the benefit of the doubt to keep their appointments (without requiring a backup payment in case of “no shows”) helps build trust and a positive doctor–patient relationship. It’s your choice: would you rather have one-time irate customers paying you for services you didn’t do, or would your business thrive on trustworthy relationships with life-long patients? It’s your call. Know someone who is having a rough time attracting patients? Perhaps it’s because his website is making it hard for potential clients to trust him. 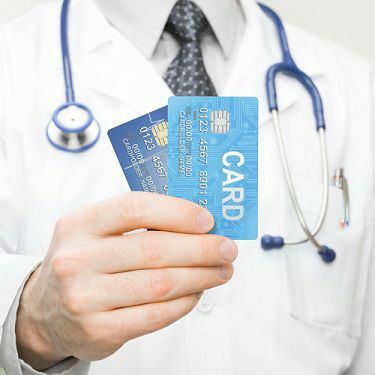 Please, feel free to share this page with him, so he can see the benefits and risks preemptively requiring credit card information can have on his practice.